I love these new Dncorde Danse Booties from LeeZu! They are available in 10 different color combinations, as you can see there’s something for everyone. I love the classic colors as well as the vibrant candy-like colors.. YUM! These shoes are prefect in every way except they don’t have an alpha layer option. I think this is a must for every pair of shoes now, so I really hope that LeeZu will consider an update or for future releases. Visit LeeZu for the Dncorde Danse Booties! Ooooh, those are absolutely beautiful… I love the detail on them, something else to add to my Leezu folder, most definitely. I don’t think I would be able to stop myself grabbing the full set, however. I am absolutely knocked over by the amazing texture of these shoes. The cobblers of SL are going off like rockets lately. Fabulous shoes everywhere is not helping my shoe addiction. Great work LeeZu. Gorgeous pics Gogo. I think the sculpt is a template, possibly. Saw the same bootie sculpt at Duh! on the Zombiepopcorn hunt yesterday. Deja vu when I saw this post and remembering these. Thank you for the tip about Duh! They are cheap too. I will cheack them out. Even if LeeZu lookes amazing, I can’t go back to invisiprims now! I love your blog! It’s so helpful!!!!!! CAN YOU PLEASEEEEEE POST A THREAD ON HOW TO FIX PRIM HEELS? 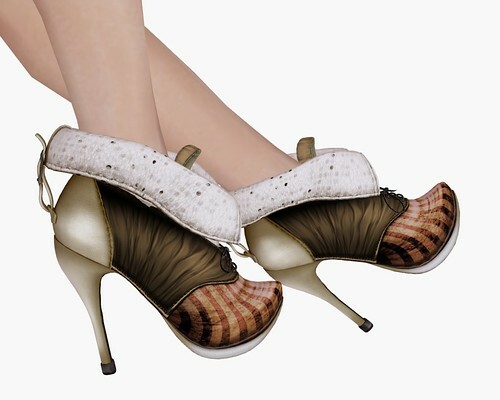 AND HOW TO GET THE PRIM SHOE TO MATCH YOUR SKIN?? 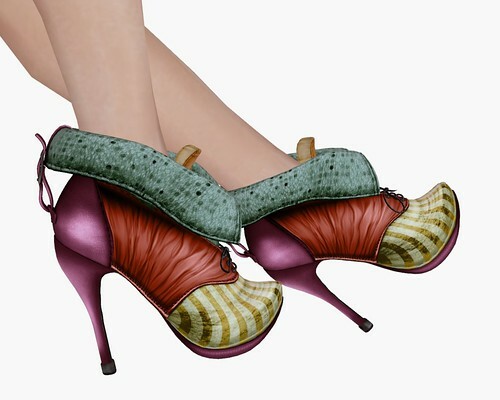 I HAVE BOUGHT FOUR SKINS BECAUSE I JUST LOVES THESE HEELS BUT NONE HAVE MATCHED! I HAVE A CURIO SKIN..CAN YOU USE THAT AS AN EXAMPLE?